A frequently visited/dived ship wreck lies to the east of Manado city in North Sulawesi of Indonesia. It is simply called the Manado wreck that went down sometime during the Second World War. Practically no records in Manado exist pointing to the correct identification of the wreck and several versions of stories have been collect over the years to it’s reasons for it’s now known resting place. The wreck lies to the north west of Manado City towards the island of Bunaken. Lying on a slope next to the reef, the bow is at 24m with the stern and propellers at 40m. It is actually an awesome wreck to dive as it has a massive amount of natural coral growth and some penetration areas going into the cargo holds. Situation: on January 24th 1942, U.S Submarine Swordfish (SS-193) sinks the Japanese gunboat MYOKEN MARU, north of Kema, Celebes. MYOKEN was originally a transport ship. 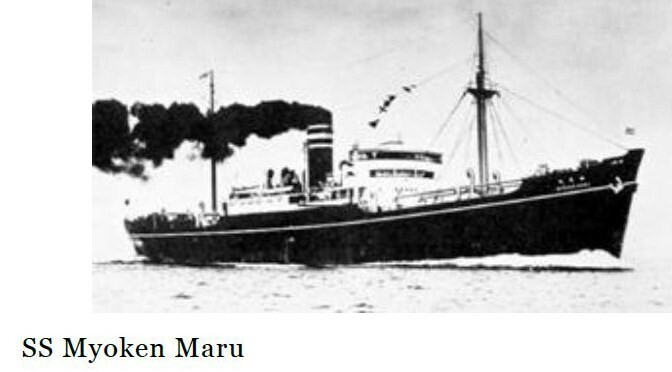 Conclusion: The Manado wreck is not the MYOKEN MARU. This wreck is almost half the size and not as wide as what the MYOKEN was. So the mystery remains to be solved. What is the identification of the wreck in Manado? How was she sunk? And if this is not the MYOKEN MARU, where it is really? Perhaps close by waiting to be discovered?